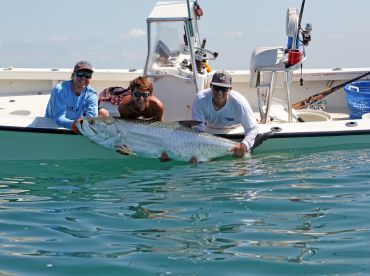 If you’re one of those anglers who has overlooked nearshore fishing in the past, you have no idea what you’re missing! Many people who are after big fish think they have to scour the deep sea to find them, but you can get pretty lucky without losing sight of land. 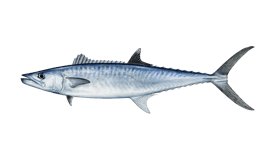 Nearshore waters are ideal for charter fishing, since you can reach the fishing grounds sooner and the boat burns less fuel getting there. That means more money in your pocket and more time casting lines, with high chances of bringing home a full cooler. If that’s not a win-win scenario, what is? “Nearshore” fishing means something a little different everywhere you go. This term generally includes waters just off the beach, extending to around 10 or 20 miles offshore. 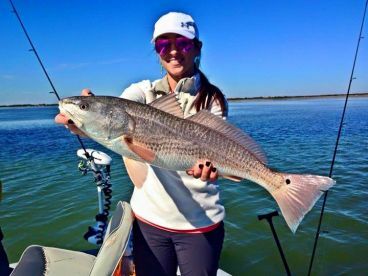 Along the Gulf Coast, nearshore fishing trips typically keep you within state waters (9 miles from shore). Depending on the area, the water could be anywhere from several feet to around 50 feet deep. In some parts of the world, like Australia, anglers use the term “inshore” to describe nearshore waters. In other places, such as volcanic islands and locations close to the continental shelf, there’s hardly any middle ground between inshore waters and the deep sea. 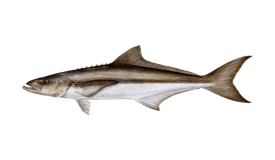 Relatively warm and shallow nearshore waters are abundant fishing grounds. Reefs, wrecks, and rock piles are the most productive spots to fish close to shore, usually aboard a 20-30’ center console or bay boat. 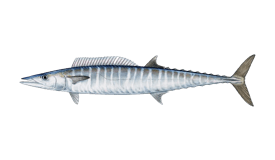 In addition to a variety of Snappers and Groupers, these structures attract species like Mackerel, Amberjack, Sharks, and Cobia. 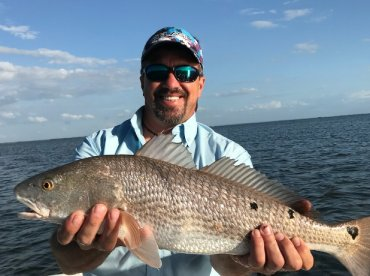 You’ll have a chance to try many different techniques while fishing near shore. 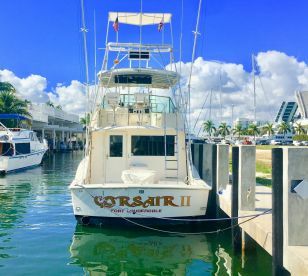 The most basic methods include trolling and bottom fishing, which can help you catch species around wrecks and reefs. Depending on the area, these methods are often used in tandem with jigging, casting, popping, and kite fishing. In some parts of the world, nearshore waters are popular spots for spearfishing. It’s common to use spinning and conventional gear while fishing on nearshore wrecks and reefs. 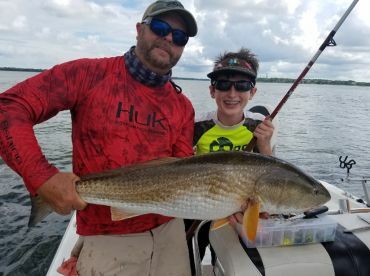 Light tackle (10-15 lb test) is suitable for most species, but you may need to opt in for 80-100 lb test line when grappling with especially big fish and Sharks. Anglers use a combination of live, dead, and artificial baits (jigs, plugs, and spoons) to catch nearshore species. Florida - Specifically, the west coast and the panhandle. Heading out of Destin, Pensacola, Tampa, and the St Pete area will put you in prime nearshore fishing territory. You can usually expect to drop lines somewhere between 6-12 miles offshore. 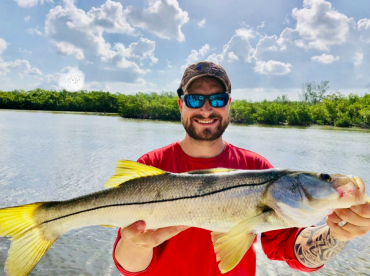 Common catches in these waters include Cobia, Barracuda, Amberjack, King and Spanish Mackerel, Sheepshead, Tripletail, Snapper (Mangrove, Lane, Gray, Vermillion), Grouper (Gag, Scamp, Black, Red), Goliath Grouper, and Sharks. In some areas, you’ll also encounter Tarpon, Hogfish, and Red Snapper near the reefs. 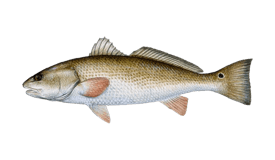 Charleston, South Carolina - Charleston’s nearshore wrecks and reefs are teeming with gamefish during spring and summer. 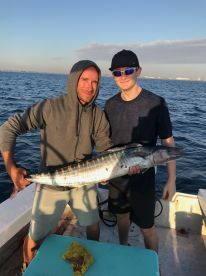 In addition to bull Redfish (20-40 lb) and Tarpon, you can catch King Mackerel, Cobia, Barracuda, Amberjack, Tripletail, Spadefish, Black Seabass, and Sharks. Puerto Vallarta, Mexico - For a slightly different variety of species, head to Banderas Bay in Puerto Vallarta. This neashore fishing ground is famous for producing large numbers of Snapper, Amberjack, Mackerel, Skipjack Tuna, Mahi Mahi, and the legendary Roosterfish. Victoria, British Columbia - You won’t hear too many anglers in British Columbia throwing around the term “nearshore fishing,” but they do spend plenty of time fishing nearshore wrecks, reefs, and banks for local favorites. Halibut, Lingcod, and Salmon are all the rage around here, and you can spend the better part of a year fishing for them. Dundee Beach, Northern Territory - The waters stretching from Dundee Beach to the Perron Islands hold some of northern Australia’s most coveted species. The fishing grounds known locally as “inshore” reefs hold Golden Snapper, Black Jewfish, and Rock Cod are just a few treats on the menu here! If you’re looking for a chance to experience the sheer variety an area has to offer, the waters several miles from shore are the perfect place to start. Nearshore fishing is your chance to catch a little bit of everything!